EloERP is Desktop Based Solution, with the advance set of modules for almost all business industries. EloERP is the first complete POS Solution with Actual Financial Accounting Module. Now you can track business status from any perspective. EloERP comprises the Extensive set of modules, and professional reporting which makes your life much more comfortable. 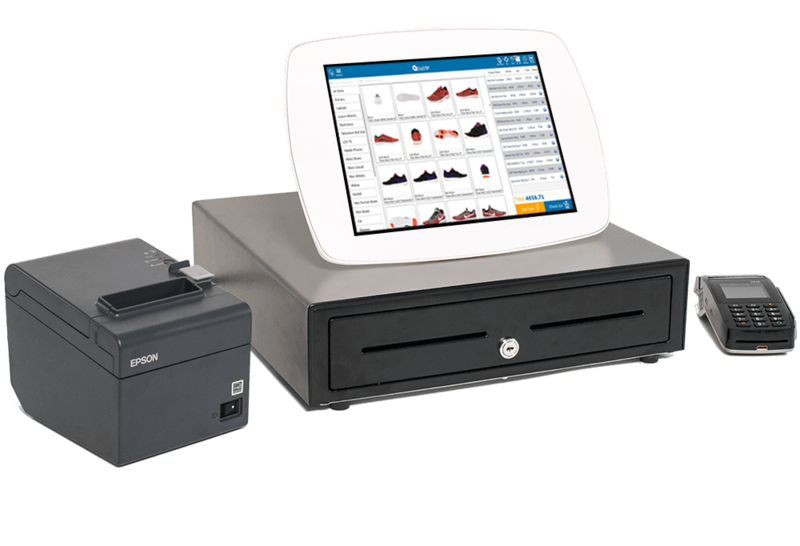 EloERP has Dual Styled Point of Sale Screens. There is one POS Screen, which will provide you with the function of the grid view. This screen has explicitly been built for Retails, Distributions & Wholesale businesses, Manufacturing Industries, and the companies who have a large number of products. You can sell hundreds of items in a few clicks through this screen. This Sale screen is fully keyboards friendly, It is featured with short keys. You can either use the barcode scanner or one click product selection by your keypad. Our primary purpose is to automate your purchase and sale process as well as shorten your burden. EloERP Touch Point of Sale makes the sale process super faster and easy to use for many Retail & Food Industries. Checkout process has advanced features with the split bill through multiple payment methods. Our Powerful and Desktop Based Inventory Management Module keeps you notified about every single minute outcome. Inventory Management Module let you manage stock in multiple units and within various levels. Our impressive pricing setup tool will allow you to define one product in different UOM and different pricing per unit. Which means you can sell one item at various prices. Sell one item as retail at one price, and in wholesale in the second price. EloERP will keep an eye on every single stock item and will provide you the extensive set of reporting. Service Management System is usable for any kind of service provider. Whether its a Repair Service Center, Tailoring Service Provider, SPA, Salon or Hair Dresser or any other service providers. Product Batch & Expiry Management System will facilitate you to import multiple products with multiple batches & expiry dates. Batch Control System is not stuck with expiry but only if you want to use expiry for your selected products. EloERP Intelligence System automatically selects the product batch on time of sale, who's expiry is near than other batches. System also allows you to stop selling expired batches to save time. Not only this, it also notify you in the system and by SMS about the report of expired or near expiry products. 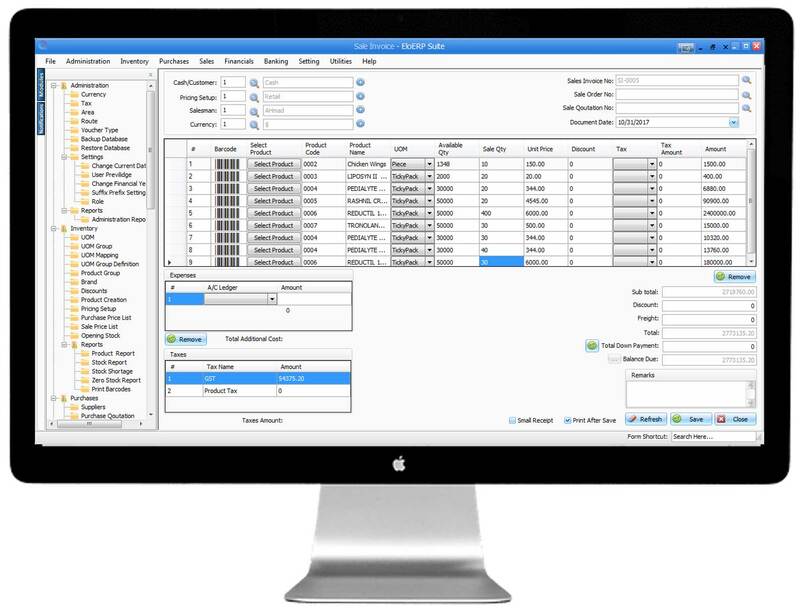 ElOERP Warranty Control System will allow you keep track of all warranties you are providing on your products. Through this module you can keep track of warranties which are claimable or expired as well as track warranty claims. Role-based security in EloERP focuses on grouping a set of privileges together that describe the responsibilities (or tasks that can be performed) for a user. EloERP includes a set of predefined security roles. Each aggregates a set of user rights to make user security management easier. Also, each application deployment can define its own roles to meet the needs of different users. Creating backups will help you to recover a damaged database. Backups of a database are also useful for routine purposes, such as copying a database from one server to another, setting up database mirroring, and archiving for governmental purposes. Backing up and restoring data should be tailored to a particular environment and must work with the available resources. A well-designed backup and recovery strategy maximizes data availability and minimizes data loss, taking into account your particular business requirements.